As a child, Rebecca developed an affinity for animals and nature. During the summers spent at a cottage at Watts Bar Lake, she and her brother and sister would spend hours outdoors, playing and hiking, mimicking the calls of mourning doves and bobwhite quail, catching snakes, and living the life of Huckleberry Finn. During September 1975, Rebecca visited Santa Fe, New Mexico to attend Fiesta. She felt an instant connection to the city, saying, "It was as if I had finally ‘come home.’" She returned to New York, broke her lease, quit her job and moved to Santa Fe by December. 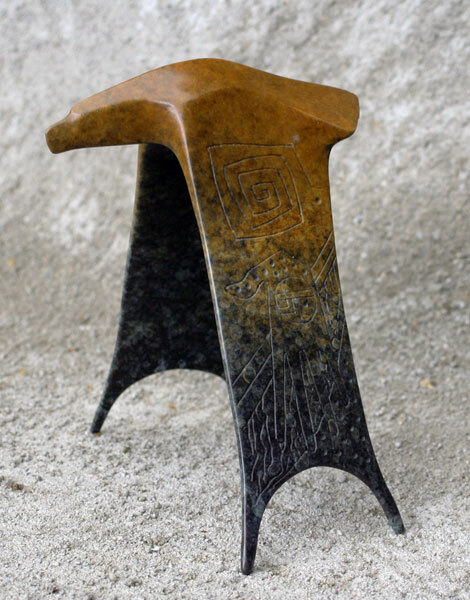 In 1984, Rebecca met sculptor Gene Tobey while working as a director of a Santa Fe art gallery that featured Gene’s raku pottery. 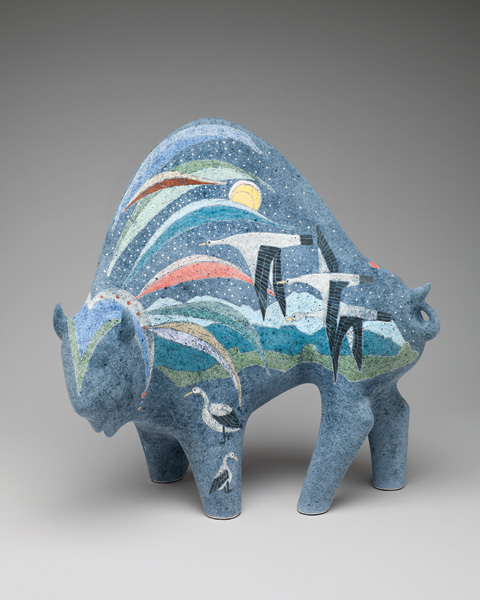 Following their marriage in 1985, Rebecca and Gene began developing brightly colored ceramic sculptures, which had evolved from dishes and practical ceramics to stylized animals. 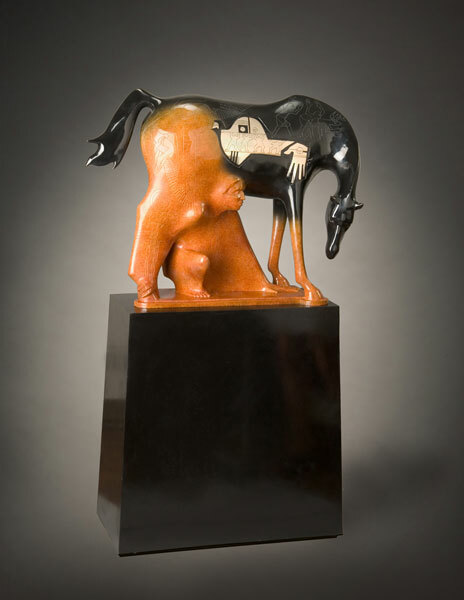 Over the years, Rebecca’s sculptures were characterized by a spiritual intensity and a style that was both sophisticated and primal. The work appeared as sleek silhouettes from afar, but when viewed up close revealed a maze if glyphs and symbols. The sgraffito drawings often portrayed other animals, mountain ranges, human figures, symbols and geometric shapes. Rebecca has long admired aboriginal art and tribal art from South America and Africa. In fact, much of her imagery focuses on the west and its wildness and freedom. Said Rebecca, "Many people are fascinated by the West and what it represents—from the days of the Anasazi to those of the cowboy and Indians to pioneer days, ranching and cattle drives—a different way of life." Rebecca’s sculptures have been commissioned for public and private collections in the United States and internationally. Among her most popular work is the six-foot-tall bronze grizzly bear named Pathfinder. In 1994, the work was placed at Western State College in Gunnison, Colorado, where students created a custom of kissing the bear for good luck during exams. In 2000, Rebecca contributed to Baylor University a monumental 15-foot-tall bear named Spirit Walker, which has drawings on its surface depicting the history of Waco, Texas, where Baylor is located.